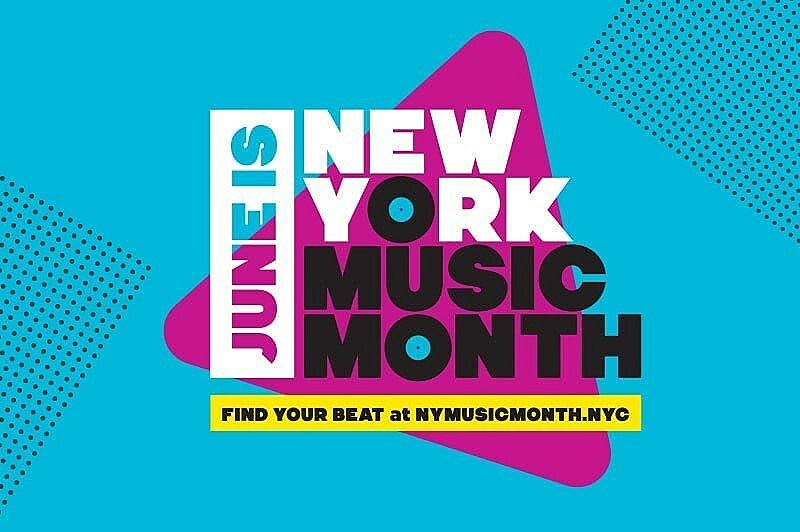 Last year, the Mayor’s office declared June as New York Music Month, with concerts, conferences, free resources for musicians, and more. This year’s theme is “Innovation at the Intersection of Music + Nightlife” and they’ve announced the 2018 schedule of events. There is a one-day NY Music Month Conference that happens June 8 at NYU’s Kimmel Center from 10 AM – 5 PM. Among the speakers at the conference will be Just Blaze, NYC Night Mayor Ariel Palitz, Michael Dorf (City Winery), Taja Cheek (MoMA PS1 Warm-Up), NYC councilman Rafael L. Espinal Jr, as well as representatives from Bowery Presents, Popgun, Le Poisson Rouge, Lincoln Center, and lots more. The conference is free but you do need to RSVP — more details are here. There are other conferences and workshops for NYMM, including INTERLUDE+ which happens at Saturdays in June at The Lot Radio and “is a free, hands-on music & art workshop series curated by Offline Projects, for and by the LGBTQ+ community – bringing together respected musicians, artists, and industry leaders to inspire a new generation of creatives in nontraditional educational environments.” Events include an interactive lecture with Andrew Thomas Huang (who directed Bjork’s Vulcinera videos) on June 30. Full schedule and details are here. There are also various music-related walking tours happening all over the city, including a “Classic, Punk and Folk Rock tour of the Village,” and two different tours exploring the rich musical heritage of The Bronx. On June 23 at the Brooklyn Conservatory of Music there is the World Refugee Day Festival featuring “musicians and dancers from all over the world” as well as a potluck dinner. 3 PM and free (more details). There will also be over 2000 hours of free rehearsal space offered to musicians, plus a wide variety of workshops.